Single-use bimanual I/A systems are a solution for preventing infection. These products are guaranteed to be sterile and safe from contaminants. 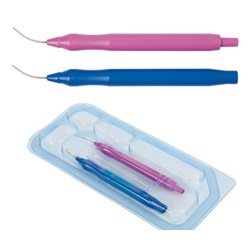 Comes two handpieces per pack, one irrigating, one aspirating. Aspiration-handpiece 0.8 mm (21g) with curved cannula, aspiration port 0.35 mm, textured tip for capsule polishing AEROPLANE nose shape. 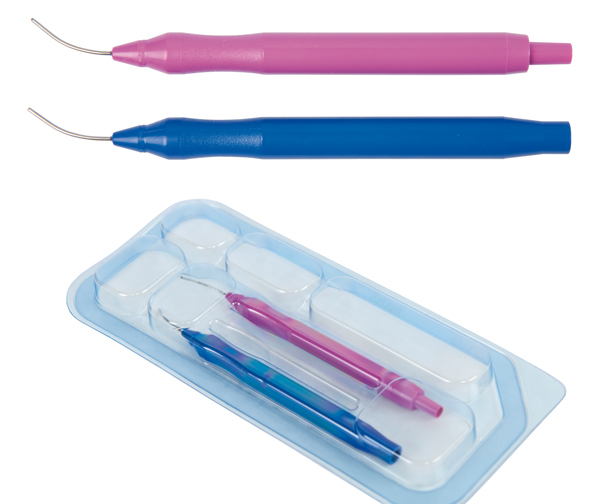 Irrigation-handpiece 0.8 mm (21G) with curved cannula. Sold 10 per box. Open ended irrigation port 0.50 mm for active rinsing. Two irrigation ports 0.45 mm.